The ultimate compendium of a half century of the best music, now revised and updated. 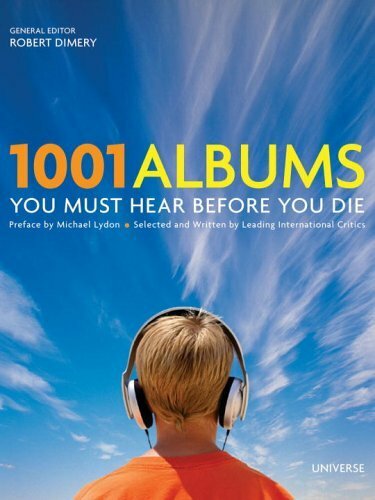 1001 Albums You Must Hear Before You Die is a highly readable list of the best, the most important, and the most influential pop albums from 1955 through today. Carefully selected by a team of international critics and some of the best-known music reviewers and commentators, each album is a groundbreaking work seminal to the understanding and appreciation of music from the 1950s to the present. Included with each entry are production details and credits as well as reproductions of original album cover art. Perhaps most important of all, each album featured comes with an authoritative description of its importance and influence. Robert Dimery is a writer and editor who has worked for numerous magazines, including Time Out and Vogue. Michael Lydon was a founding editor of Rolling Stone. His books include Rock Folk, Boogie Lightning, and Ray Charles: Man and Music. No files availables! Please fix it! Many thanks for reposting this. is actually a corrupted version of file 028.